Nearly 1,500 people from around the world met Jan. 29 - Feb. 1, 2017, in Orlando, Fla., for the 43rd Annual Conference on Explosives and Blasting Technique. The event, sponsored by the International Society of Explosives Engineers (ISEE), is the world’s largest conference on explosives engineering. It features five days of workshops, technical sessions and entertainment. This year’s conference featured a silent auction that raised more than $9,800 for the SEE Education Foundation. Big-ticket items included a one-of-a-kind, handmade quilt; a lifetime membership to ISEE; and a Palm Island Resort getaway vacation. The annual awards banquet, on Tuesday, honored people who made outstanding contributions to the explosives engineering industry. Dale Preece, Ph.D., Orica Mining Services, was honored with the Distinguished Service Award. Throughout his career, Preece has authored 135 technical papers and journal articles. He has also contributed to several books including the ISEE’s 18th edition Blasters’ Handbook. He has been invited to present a number of keynote addresses at conferences over the years. Ouchterlony is a member of the FRAGBLAST International Organizing Committee. He discovered the Swedish Blasting Research Centre distribution during the Less Fines Project, which led to his receiving the Douglas Hay award in 2005. Ouchterlony has been a member of ISEE since 1991. R. Thomas Watts was this year’s Industry Service Award winner. Watts has always had an exceptional ability to interact with people at all levels in an organization. This helped lead to his success in selling and to motivate and grow employees in his organization. Watts has been a member of ISEE since 1982; a recipient of the ISEE President’s Award for Outstanding Services in 1989; a member of the ISEE Nominating Committee in 1991; and was an author of the ISEE Blasters’ Handbook’s chapter on bulk explosives equipment. He has published articles in the Journal of Explosives Engineering and has always been dedicated to the SEE Education Foundation scholarship program and very involved with ISEE chapters. The ISEE President’s Award, which is given to those who have unselfishly given their time and talents to the society, was awarded to Travis Davidsavor, Barr Engineering Company; and Walt Partridge. James Peterson was awarded the ISEE Driller’s Leadership Award. And David Creek, Buckley Powder Co., was honored with the Blaster’s Leadership Award. The next Annual Conference on Explosives and Blasting Technique will be Jan. 28 - 31, 2018, at the Grand Hyatt Hotel in San Antonio, Texas. Good news if you haven't had a chance to submit your photos of a recent blast or jobsite to the 24th annual photo contest: The deadline has been extended to Friday, Dec. 30. Get your submission in before the deadline for a chance to win a $500 gift certificate to the ISEE Bookstore. The contest has categories for blasters and drillers at work; construction blasting; quarrying and mining; demolition blasting; and specialty blasting. 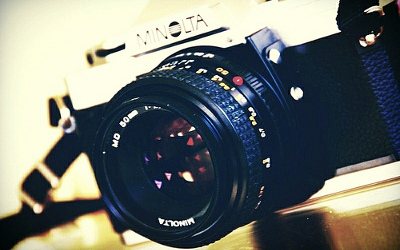 All submissions will be judged on composition, content and quality. The winner will be announced during our 43rd Annual Conference on Explosives and Blasting Technique held Jan. 29 – Feb. 1, 2017, in Orlando, Fla. Download an entry form today. Get ready for the 43rd Annual Conference on Explosives and Blasting Technique by downloading the official mobile app to help you maximize your time at the event. Download the ISEE 2017 mobile app today to view the complete schedule and add your favorite exhibitors and sessions to the personalized planner for convenient on-the-go access before and during the conference. Be sure to check the app often. More information will be added soon. 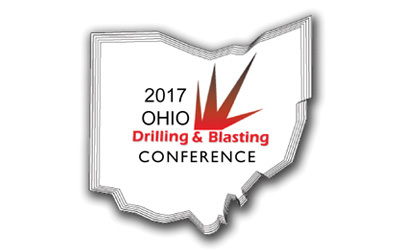 The Ohio Drilling and Blasting Conference kicks off from 5:30-7:30 p.m. Wednesday, March 29, 2017, with a welcome reception and exhibits. On Thursday, learn about various topics such as underground blasting, waveforms, public relations, demolition blasting, current compliance issues and more. View the preliminary schedule. The DoubleTree Hotel Columbus/Worthington, 175 Hutchinson Avenue, is located just off the 270/71 Interchange. A block of rooms has been reserved at the Doubletree Hotel with rates for the conference at $109 single/double, call (614) 885-3334 or 1-800-870-0349. Conference participants are responsible for their own lodging arrangements and should identify themselves with the Ohio Drilling and Blasting Conference when making reservations. All reservations must be made by March 8, 2017. Here's your chance to show your drillers and blasters that you recognize their outstanding job that they are doing for you. Awards will be given in two categories on Thursday, March 30, following the seminar. Winners will be determined by a panel of industry experts and their decision will be final. The nomination deadline is March 15, 2017. Best exemplify use of safe practices and good communication between blasters and drillers. Be a current Ohio Certified Blaster (Blasting Award). Be a current Ohio Driller (Drilling Award). 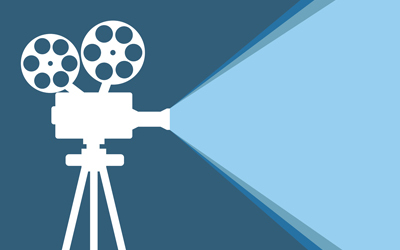 The deadline to submit your video is Monday, Jan. 9. Submit yours today.